Fighters make weight for November 1st showdown. Top Rank's "Final Impact" PPV weights Julio Cesar Chavez, Jr. 156 vs. Matt Vanda 156 Nonito Donaire 112 vs. Moruti Mthalane 111 Jorge Arce 115 vs. Isidro Garcia 115 Lamont Peterson 140 vs. Lanardo Tyner 140 Showtime Boxing Card weights Cristian Mijares 115 vs. Vic "The Raging Bull" Darchinyan115 Andre "Matrix" Dirrell 167.5 vs. Victor Oganov 167.5 … [Read more...] about Fighters make weight for November 1st showdown. In Honor of HALLOWEEN Scariest Looking Fighters. Halloween is coming up and people dressing up as scary monsters, celebs, and other different types of people is part of the costume celebration on this festive holiday. … [Read more...] about In Honor of HALLOWEEN Scariest Looking Fighters. E:60 Manny Pacquiao video segment. Roundtable discussion DISCUSS THIS TOPIC IN OUR FORUM … [Read more...] about E:60 Manny Pacquiao video segment. 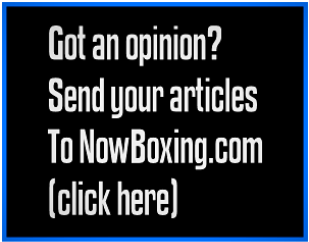 Donaire fights on PPV,Mijares vs Darchinyan on Showtime Boxing. This Saturday November 1, 2008 a few interesting match ups will happen on the same night but on different channels. Live from Las Vegas,Nevada at the Mandalay Bay resort and casino, Filipino American Flyweight Champion Nonito Donaire will defend his IBF/IBO flyweight titles against South African Moruti Mthalane on the undercard of the Julio Cesar Chavez Jr vs Matt Vanda Rematch … [Read more...] about Donaire fights on PPV,Mijares vs Darchinyan on Showtime Boxing.